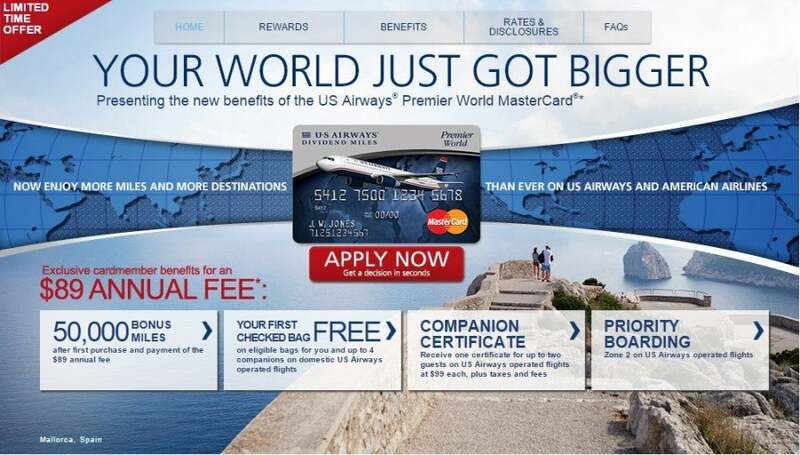 In October Barclaycard announced the release of the AAdvantage Aviator Silver card and AAdvantage Aviator Red card, which will soon replace the US Airways Premier World MasterCard, and are only being offered to existing cardholders. I accepted the invitation to upgrade my card, and I’m excited to now officially be one of the first Aviator Silver cardholders! Barclaycard let me know that my AAdvantage Aviator Silver card is on the way. Mileage Earning: 3x miles on US Airways and American purchases, 2x miles on hotels and car rentals and 1x on all other purchases. Perks: First checked bag free for you and up to 8 of your traveling companions; priority boarding; 25% in-flight savings on food, beverage and headsets; 10% of your redeemed miles back up to 10,000 miles per year; annual companion certificate good for up to 2 guests at $99 each (plus taxes and fees) with $30,000 in purchases by your account anniversary; $100 Global Entry application fee waiver; no Foreign Transaction Fees; chip-enabled for global acceptance; premium servicing with US-based customer service; MasterCard World Elite Concierge and Luxury Travel Benefits. You can’t apply for this card directly. To get it, you have to first apply for the US Airways Premier World MasterCard, which offers an awesome sign-up bonus of 50,000 miles after your first purchase and payment of the $89 annual fee. Initially Barclaycard invited only a small group of cardholders to upgrade, but once the US Airways and American Airlines frequent flyer programs merge in the second quarter of 2015, all cardholders will be offered the chance to convert to one of the Aviator cards. As an American Airlines enthusiast, I was excited for this card from the moment I heard about it. Between the Aviator Silver and my Citi / AAdvantage Executive World Elite Mastercard, I can bank up to 20,000 EQMs from credit card spending alone. That’s a huge boost to help me maintain Executive Platinum status, and I’ll definitely plan to hit both thresholds this year, especially since all annual spending on my US Airways Premier card will carry over the the Aviator Silver. Bottom line: I think this card (and the Aviator Red) are solid options for American Airlines flyers, especially if you spend heavily on airfare and incidentals. I’ll be putting all my American Airlines spending on Aviator Silver to earn the 3x miles bonus, and I’ll be gifting the Global Entry benefit to a friend (since I’m already signed up).